Means the company known as ‘TLC Weddings’ and all those who work for and are employed, paid or unpaid, by ‘TLC Weddings’. ‘The planner’ – means the person who takes on a clients booking and is an independent self-employed professional planner, recommended by but a separate entity to TLC Weddings. The person/couple booking the services of ‘TLC Weddings’ and whose name is featured on this confirmation agreement. By enlisting the services of ‘TLC Weddings’ you, the Client, agree to the following Terms and Conditions of this booking. You, the Client, understand that once a booking is made and a deposit paid you will be assigned a wedding planner. This wedding planner represents TLC Weddings but is not employed by or the responsibility of TLC Weddings. They are an independent self-employed planner and they alone take on all responsibility for any work, services, advice and tasks carried out on the client’s behalf. You, the Client, agree that all services will be paid for in full prior to the event date as requested in your booking confirmation letter. Your deposit must be paid within 2 weeks of booking and part payments may be required for some packages. If payment is not received by the requested date(s) ‘TLC Weddings’ and their employees reserve the right to cease all work for and on behalf of you, the Client, without notice and any outstanding monies will be pursued as necessary. ‘The planner’ will not take on or book any service without consulting and having full agreement, in writing either by letter or email, first from the Client. Any information, monies, contact details or booking arrangements will remain secure and confidential and ‘TLC Weddings’ do not share information of any sort with any other person or company without the Clients written consent. ‘TLC Weddings’ and any recommended ‘planners’ commit to offering a friendly, professional and thorough service and endeavour to provide a consistently excellent standard of work at all times. The advice and guidance we offer is part of the service you pay for however it is the Client’s choice to decide whether this advice and guidance is taken and used in any way. The Client is under no obligation to use or follow the advice offered in any way. ‘TLC Weddings’ and ‘The planner’ do not accept any liability for any failings of a third party or any cost arising thereof, any item supplied by a third party or service provider or to any item owned, hired or loaned to the Client. 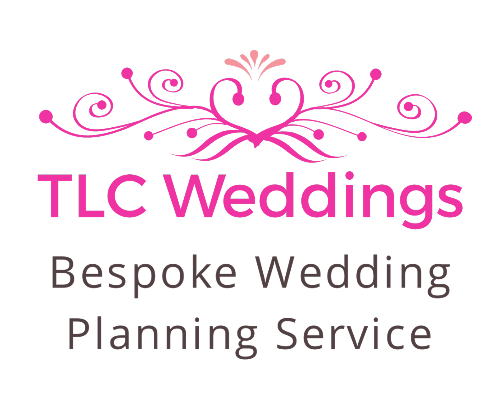 ‘TLC Weddings’ will give it’s best endeavours including high involvement to ensure the best service from third parties is given at all times however ‘TLC Weddings’ or ‘the planner’ will not be responsible or liable in any way for any third party service or goods. Any booking that takes place between the Client and service provider, person or company is between the Client and that provider, regardless of any involvement ‘TLC Weddings’ or ‘the planner’ may have on the organisation of this booking. Payment for any services booked, either by the Client directly or through ‘TLC Weddings’ or via your ‘planner’ will be entirely the Clients responsibility and ‘TLC Weddings’ or ‘the planner’ will not be liable for any non-payment of fees or invoices, these remain the Clients responsibility at all times. bespoke plan of your wedding day will be provided to ensure a smooth transition takes place if this were to occur. In the case of no alternative person being available a refund of £100 will be offered as compensation. In the event of cancellation by the Client, we follow these strict rules for every booking: Cancellation within 2 weeks of booking date – a full refund of any deposit will be given minus an administration charge of £95 after this no refund will be given of any deposit or monies already paid. Any cancellation prior to 6 months before the wedding or event date but after 2 weeks following the booking date, a client may cancel their booking however no monies already paid will be refunded. No further payments will be due providing all reasonable expenses have been covered and any money paid out by ‘TLC Weddings’ or ‘The Planner’ has been recovered. Any cancellations made within 6 months prior to the wedding date will be subject to 100% of the remaining fee owed, whether a contract is signed or not, if we have been instructed to work on your behalf we reserve the right to recoup expenses and out of pocket costs. If the date is re-booked for the same or increased fee, in which case a refund may be offered, subject to discretion. We reserve the right to cancel your booking and a refund may be applicable in such cases. Cancellation of a booking by ‘TLC Weddings’ or ‘the planner’ – we reserve the right to cancel any booking and cease working for any client at any stage should we decide to. Any refunds will be discretionary and subject to costs and expenses currently occurred up to the date of cancellation. PLEASE NOTE – We like to promote career development and often wish to bring a wedding planning student to assist us at events, please do let us know if this is not acceptable. They are always under strict guidance of a professional wedding planner. We may also wish to share thoughts and ideas on our blog or social networking sites, please make us aware if this is not something you would like us to do – we do not show images of children without permission of the parent and do not give out any personal details, surnames or contact details. By booking with us and thus receiving a confirmation letter or by way of payment of your deposit and/or fee you are agreeing to accept the above Terms and Conditions. Should you have any questions please don’t hesitate to get in touch.